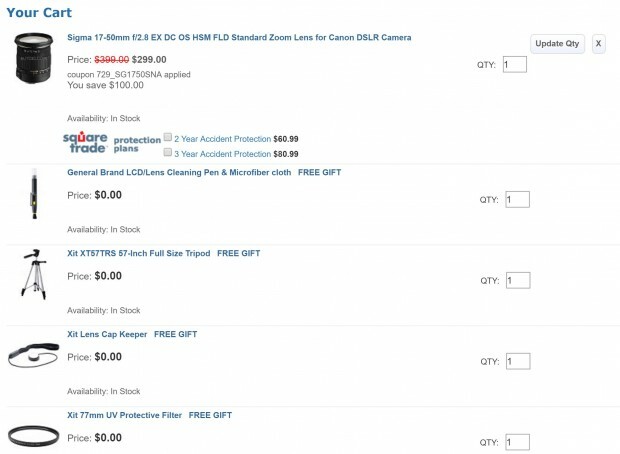 Hot Deal – Sigma 17-50mm f/2.8 EX DC OS HSM Lens for $299 at BuyDig ! Sigma USA authorized dealer BuyDig has a hot deal on Sigma 17-50mm f/2.8 EX DC OS HSM lens for Canon EF mount. This is currently lowest price from authorized dealers. Regular price for this lens is $399 at most US stores.